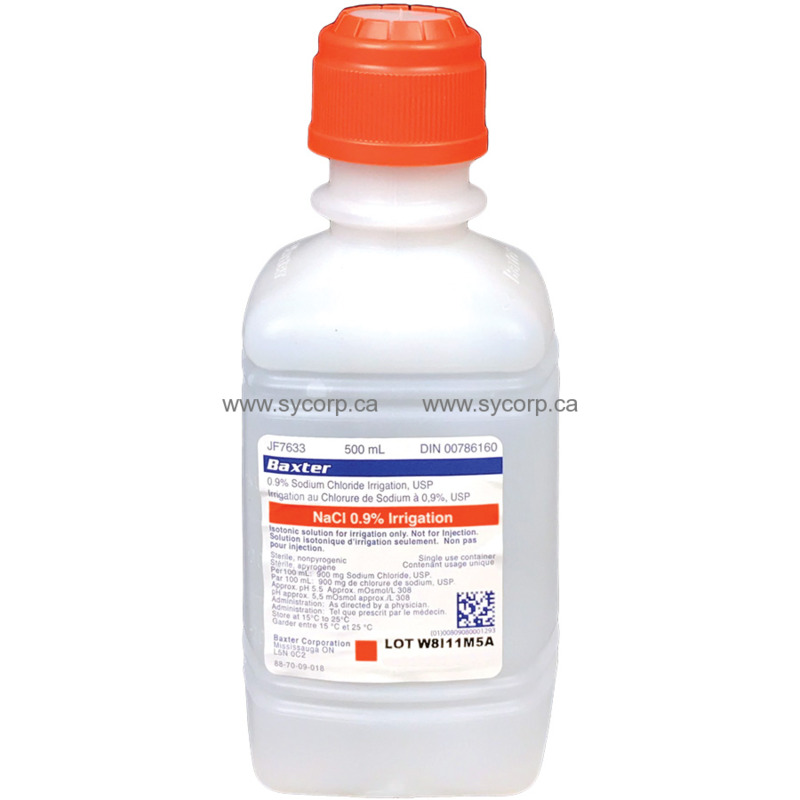 Baxter Sodium chloride irrigation solution is a sterile isotonic normal saline solution used for irrigation. 0.9% Sodium Chloride (NACL) is pH adjusted with hydrochloric acid nf. Sterile solution used for general wound care and cleansing and to create a sterile field on patient. Sold in 500 ml PIC plastic container.